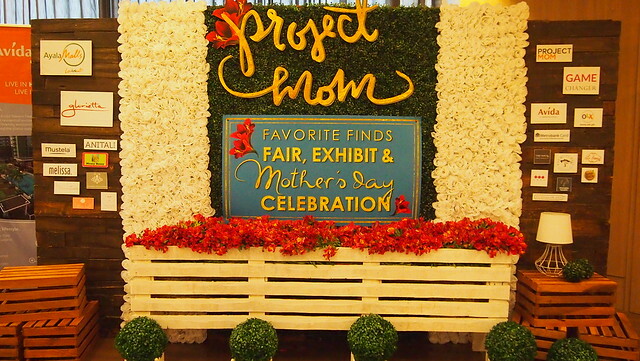 The Project Mom Favorite Finds Fair, Exhibit and Mother's Day Event at Glorietta + Win A Special Pass for the Mother's Day Event! 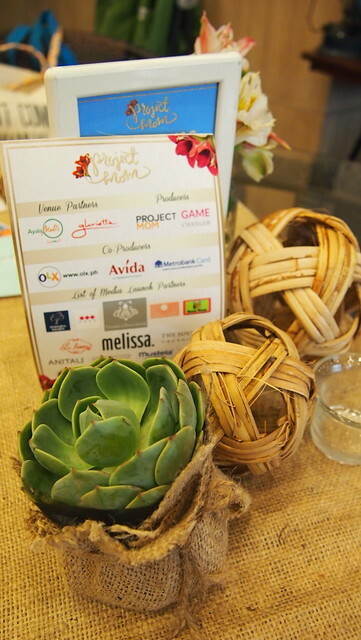 From April 17 to May 10, Ayala Malls, Avida Land, OLX Philippines together with Project Moms' Amanda Griffin-Jacob and Bianca Araneta-Elizalde celebrates Mother's Day with three pocket events. 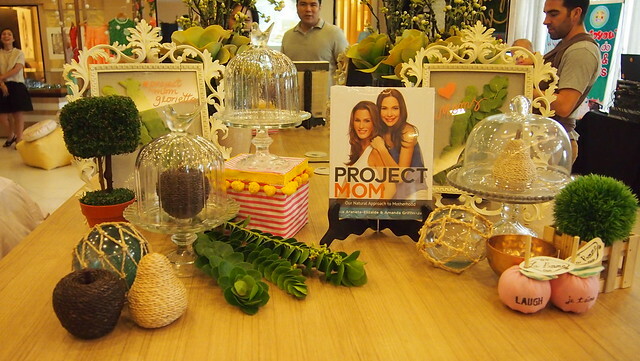 The Project Mom Favorite Finds Exhibit, which will run from April 17 to May 10, 2015 in Glorietta 1 and 4, will showcase items and services, hand-picked by the Project Mom authors, Ms. Amanda Griffin-Jacob and Ms. Bianca Araneta-Elizalde. This will be a mix of those featured in the book and those curated by both moms. 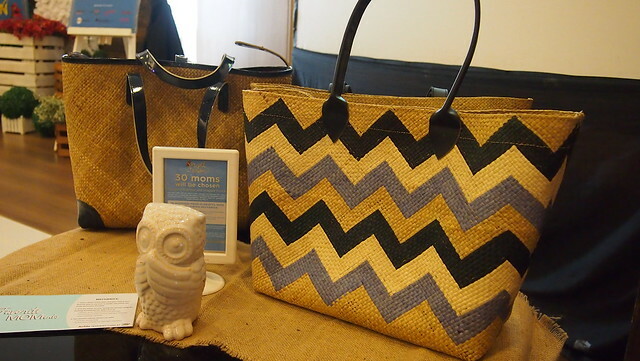 The Project Mom Favorite Finds Fair will bring together purveyors of one-of-a-kind products for moms, families and home. It will run every Fridays to Sundays from April 17 to May 10, 2015 in Glorietta 1 and 4. Last Saturday, I attended the media launch at the Avida Land Showroom in Glorietta. 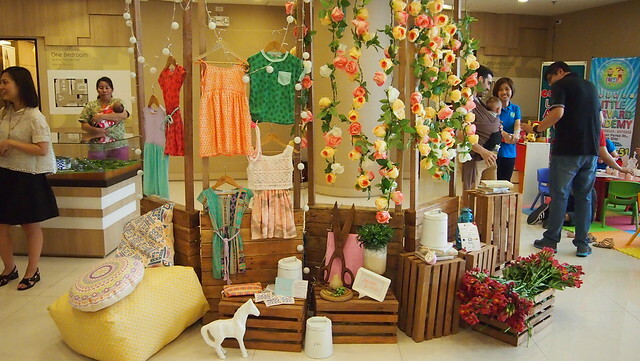 I along with my mommy friends got to take a sneak peek on what The Project Mom in Glorietta has in store for us! Love the wooden board with our names! But I forgot to take this home huhuhu! The ever so gorgeous Bianca Araneta-Elizalde and our host for that day, Nyko Maca. Bianca talked about how the book started and how has it helped a lot of moms. On display were some of the Amanda and Bianca's favorite mom finds! Some of them I've loved when I became a mom and some were new discoveries! And one of the new discoveries was Little Luli! Love the display! I want those dresses and shirt for my kids. And the fabric is super soft! A showcase of Melissa Shoes, one of the most comfortable shoes there is! I know a lot of moms at least own a pair! 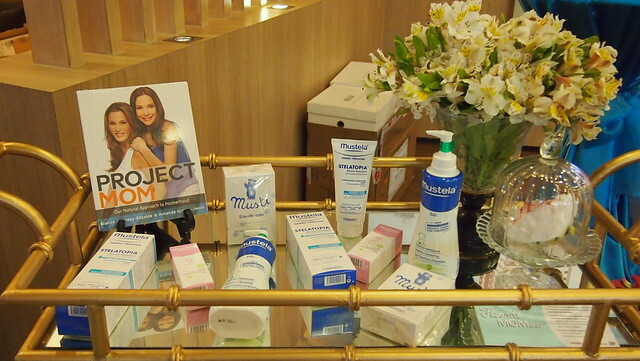 Then there's a bar cart full of Mustela goodies! Abre Linea bags. Everyone needs a bag like this! 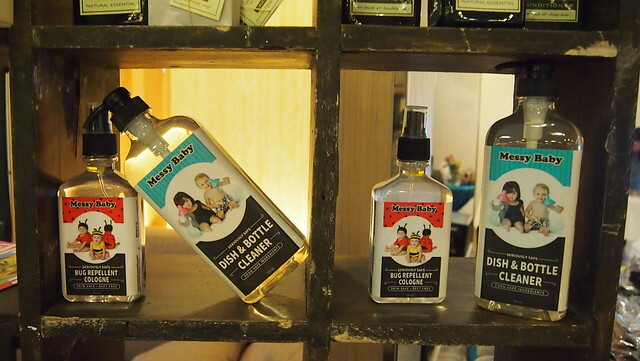 Messy Baby, a line of natural, safe and non-toxic baby products. I like their Bug Repellent Cologne which I've use on myself and the kids. Ysabel's Daughter is another new discovery. They smell so good! 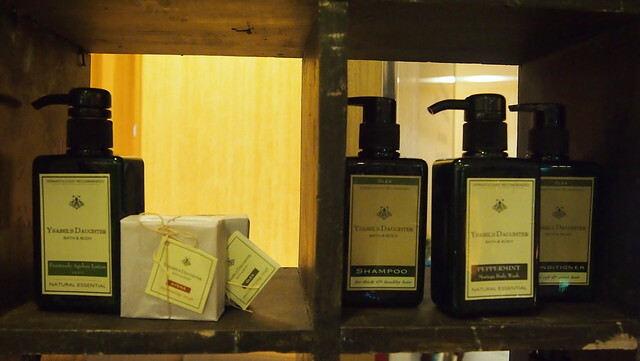 They're also all natural and synthetics-free bath and body products. There's also food and drinks! 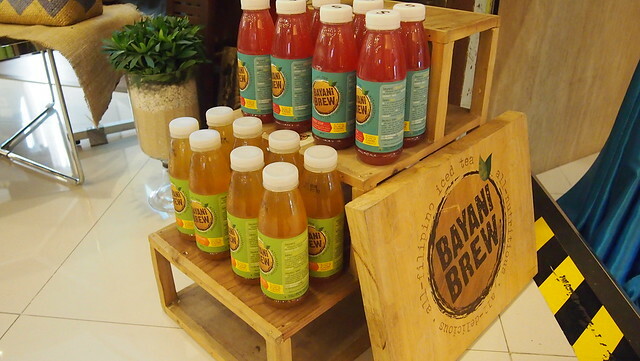 Bayani Brew! 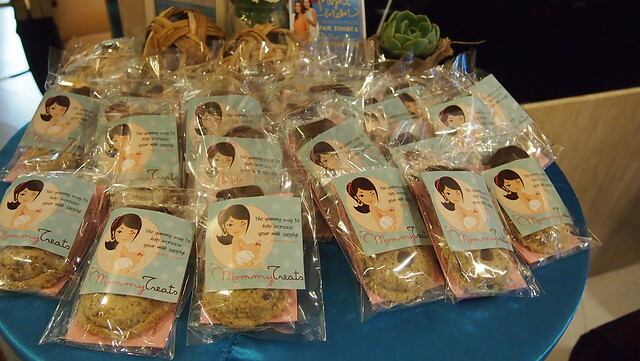 A favorite for lactating mommies, Mommy Treats! 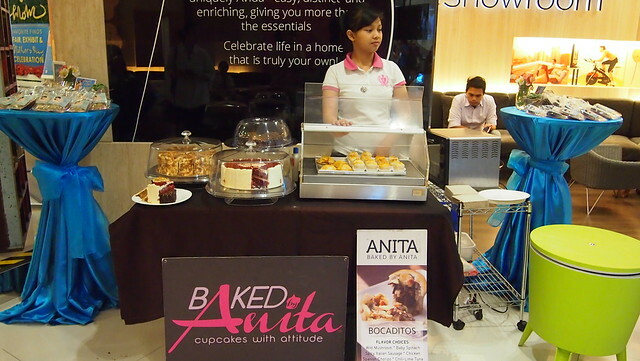 Cakes and bocaditos of Baked By Anita. I was so happy when I saw this booth! Got to eat bocaditos and red velvet cake! 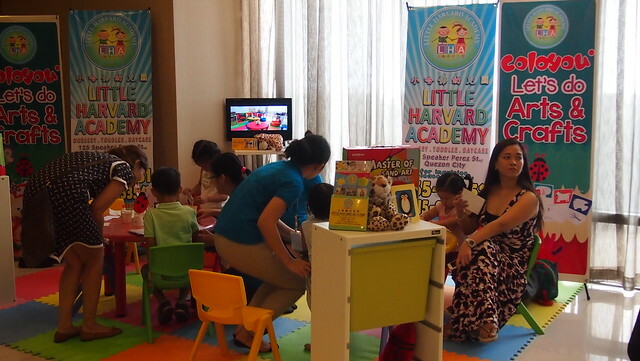 And while I was busy taking photos and making chika with the other moms, I was thankful that there's the Little Harvard Academy booth where Y spent all afternoon doing arts and crafts! Thank you Teacher Katherine for entertaining Y. Heehee! 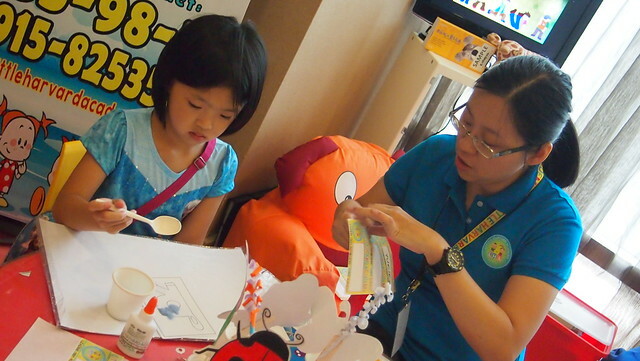 At first she didn't want to do arts and crafts, but after her first creation, she didn't want to leave na! Haha! 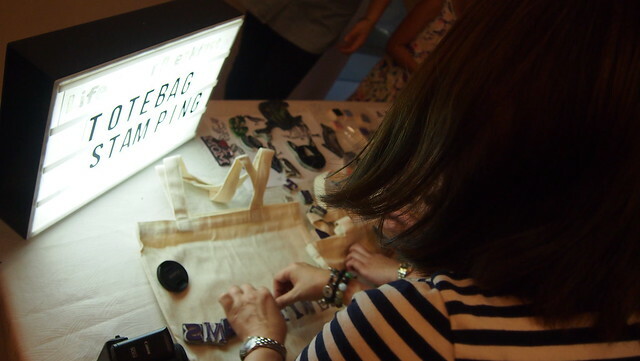 We also got to make our own tote bags at Alessandra Lanot's Tote Bag Stamping Station! Thank you for having us on your media launch! 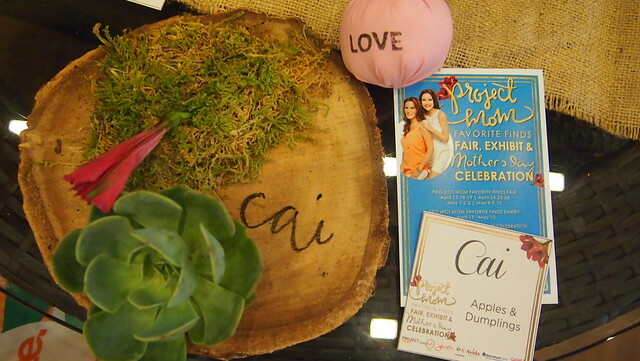 The exhibit and fair will culminate with 100 lucky moms being part of Project Mom Favorite Finds Mother’s Day Event on May 10, 2015, at the Glorietta 5 Activity Center. 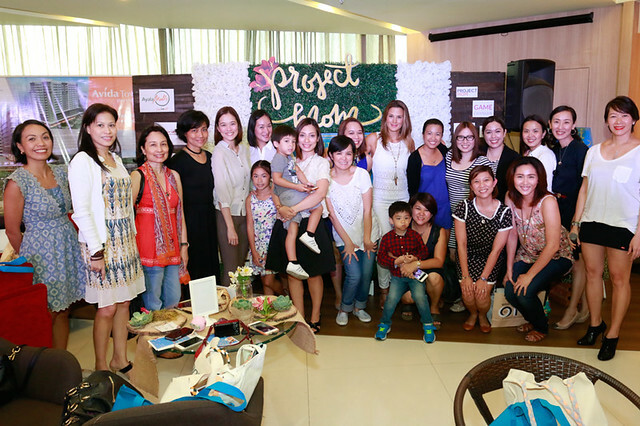 Taking inspiration from Oprah’s Favorite Things, these moms will have the opportunity to take home 10,000 peso worth of surprises and participate in hand-picked activities specially put together for moms. And 1 mom reader of mine will be a part of the 100 lucky moms! You must follow me on Instagram to be able to join! Check out the mechanics below! 1. 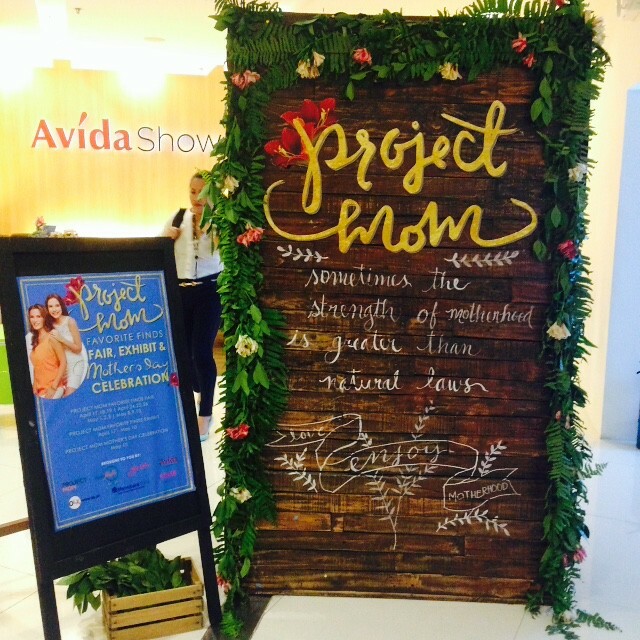 Take a photo of you and your mom at the photo op area or at the #ProjectMomFair and post it on Instagram. 2. 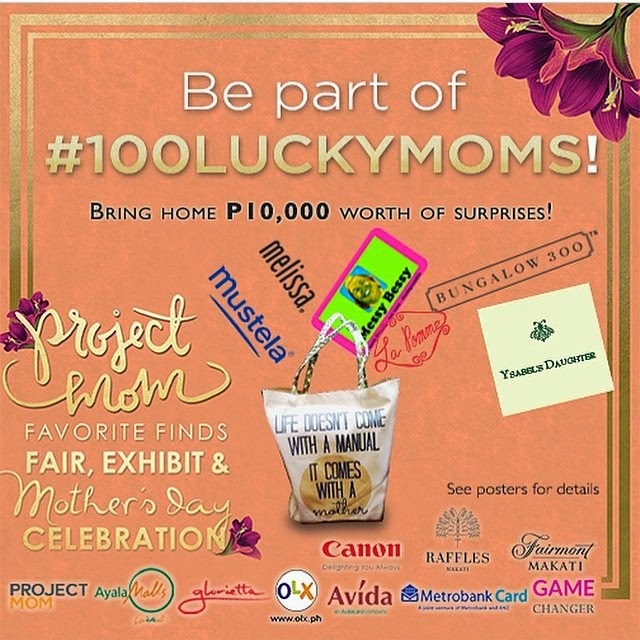 Tag and follow @iloveayalamalls @iloveglorietta @_projectmom @gamechangerph @applesanddumplings and hashtag it with #ProjectMomGlorietta #100LuckyMoms. 3. Tell us why you want it for you or your mom in the comment section below or on my IG post of this poster. 4. Repost this poster on your IG. You can just go to my IG @applesanddumplings or @_projectmom, like the photo and repost! Join as many times as you want for more chances of winning! 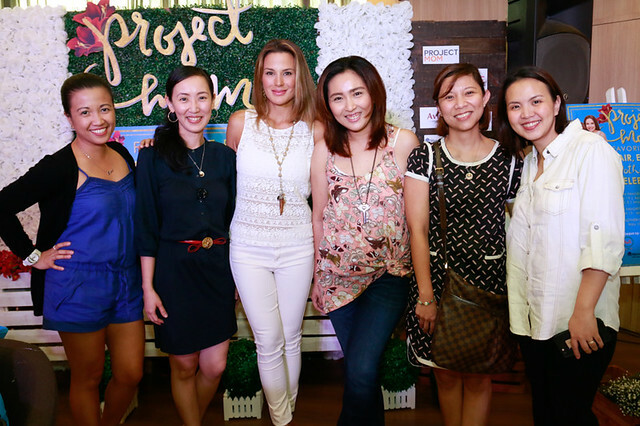 I will pick one (1) lucky mom to be part of the Project Mom event on May 10. Winners will be drawn on May 3 and will be contacted via Instagram. Winner should also present accumulated receipts (dated April 11 to May 3) from Glorietta merchants or merchants from Favorite Finds Fair amounting to Php 2,000. Receipts must be shown together with a valid ID on event day, May 10 at the registration. Good luck mommies!